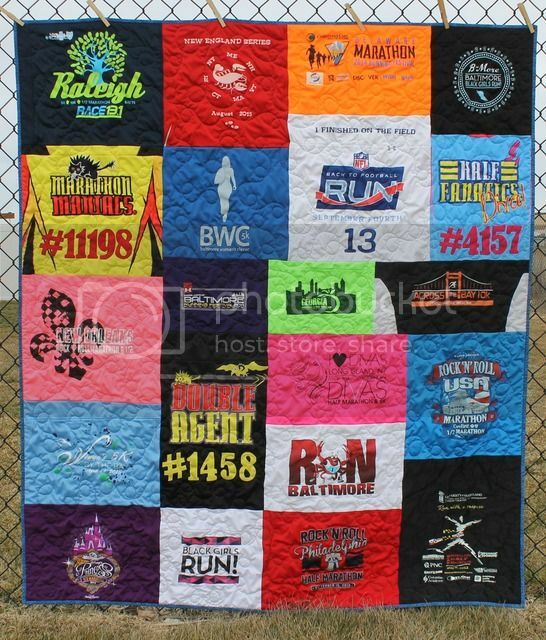 Yvonne's Running - a Finished T-Shirt Quilt! 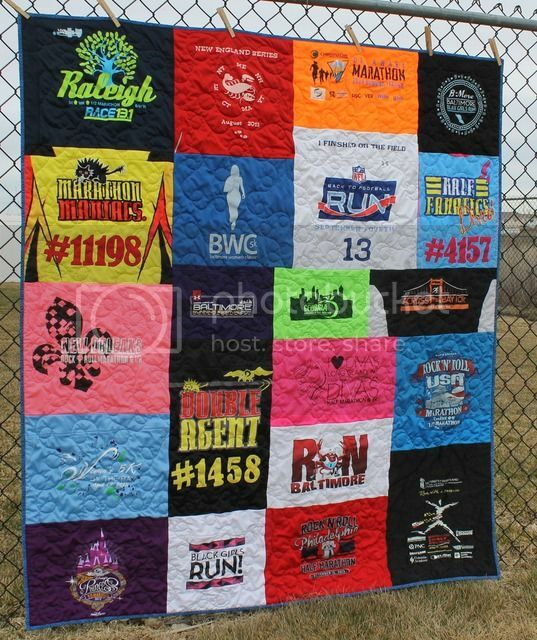 The second t-shirt quilt of the year is all about the running - a member of Half Fanatics, Marathon Maniacs, and Black Girls Run - as well as a runDisney veteran and Rock'n'Roll racer. And obviously, from Baltimore. She ordered a puzzle design, sent a pile of shirts, and I got to work on my magic. I did a lot of shifting in the various sections before piecing it, but I'm happy with how it ended up. 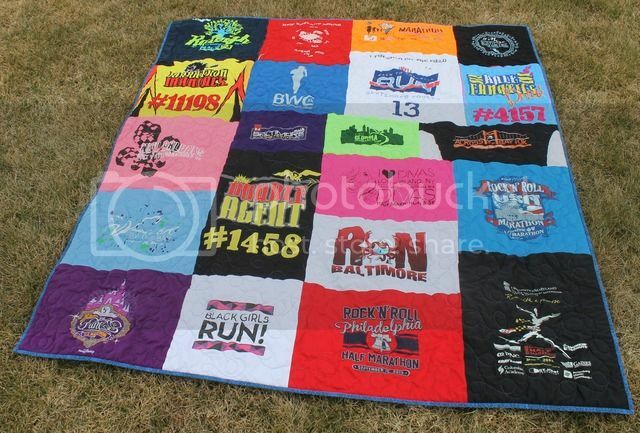 And while I love the blue and white simplicity of my college t-shirt quilt, it was nice to work with some color! 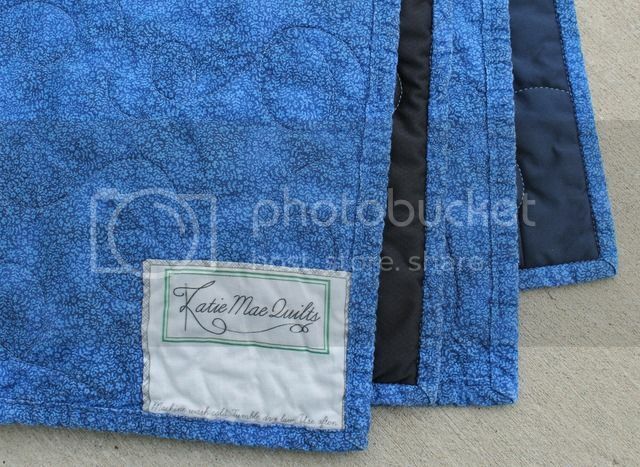 The backing and binding is a blue floral from Joann's, and the quilting is simple loops. Plus a hidden Mickey. 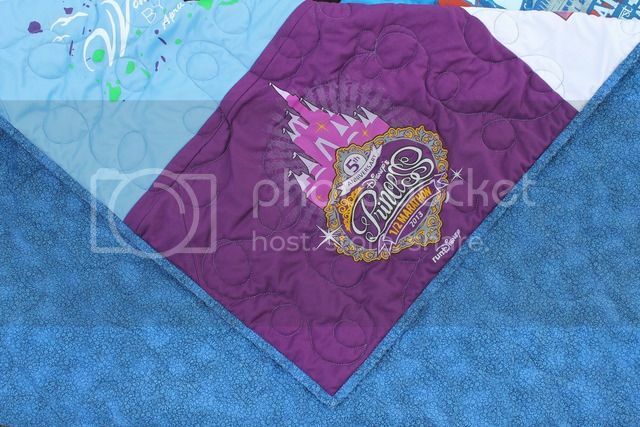 There's always a hidden Mickey on the Disney ones! Hey - the label is stitched down. I really do fill it out before mailing it. But...I might have written 2015 on this one. Oops.